In celebration of Black History Month, we’re highlighting special content in PULSE that was created based on the award-winning film Take Me To The River, with curriculum developed by Dru Davison, Ph.D., Fine Arts Advisor for Shelby County Schools, Memphis, TN. How did you introduce the TMTTR elective? My objective for this lesson was to bring cultural awareness of music from the south and study how music has transformed over time. I introduced Take Me To The River to my students with discussions on the history of Rock and Roll and Blues. PULSE provided enough resources and information to allow me to teach these lessons to the class. How did you share this theme of cultural and generational collaboration with your students? My students listened to different arrangements of famous tunes in the documentary such as “Ain’t No Sunshine” by Bill Withers, and learned about the history and influences behind the songs. We had discussions on the TMTTR videos, listened to related music in the Jam Room, analyzed the form and instrumentation, and talked about how the tunes were arranged by Stax. What did your students think about the TMTTR content? Overall my students were very engaged from the beginning until the end, and enjoyed watching the musicians recording in the studio. They were very interested to know more about Stax Records, and the fact that Terrence Howard was the narrator of the documentary sparked their attention even more. In learning about the background and history of Stax Records, they recognized the significance of Stax Records occurring at the same time as the Civil Rights Movement. Were you able to utilize any of the Teacher Guide lesson plans Dr. Dru Davison provided? Dr. Dru provided significant resources to assist me with my lesson planning. I found his instructional activity projects to be very helpful. By the end of the lesson the students worked in groups, listening to existing pieces of music and discussing different ways they might arrange it regarding style and instrumentation from what they’ve learned throughout our TMTTR studies. Cynthia DeJesus is a vocalist and recent graduate of Berklee College of Music with a degree in Music Business and a concentration in entrepreneurship. While enrolled as a voice major at the Boston Arts Academy, Cynthia participated in the Berklee City Music High School Academy and Berklee’s 5-Week Summer Performance Program on a City Music Summer Scholarship. 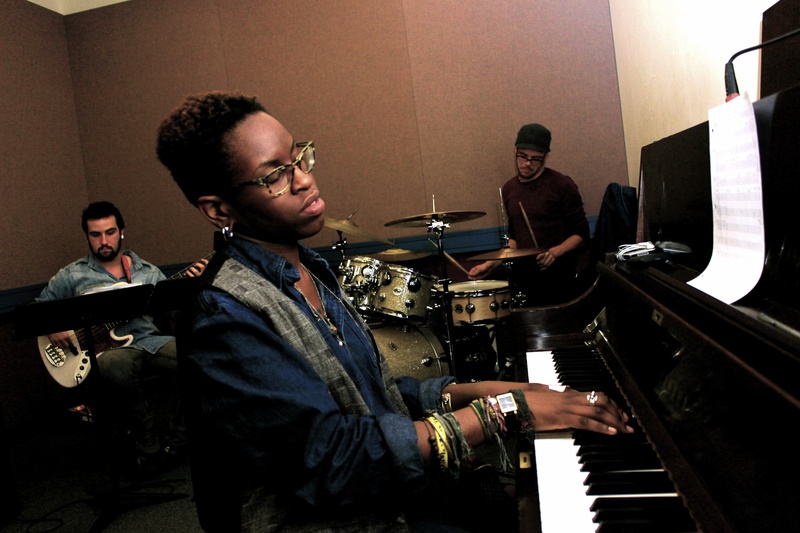 In an interview, Cynthia mentions that the City Music program prepared her for college at Berklee and provided her with the opportunity to take Berklee courses while still attending high school. She currently teaches PULSE classes, assists the ensemble teachers, and works with the vocal students at the Berklee City Music Preparatory Academy. Her weekly PULSE classes are 30 minutes long; her students range from 4th-8th grade, and represent a large variety of experience, instrumentation, and age in the same class, which challenges her to develop creative solutions in order to fulfill each student’s needs. Berklee City Music Boston—the founding site of the City Music Network—provides music education programs and scholarship opportunities to 1,400 underserved students annually throughout Greater Boston. With year-round instruction, expert faculty, and a comprehensive curriculum based around Berklee PULSE, City Music Boston gives students the tools and support they need to reach their full potential. When you listen to Abstract Scenario’s second rehearsal track on soundcloud, it’s categorized as “counter-classical boombap”. Then you move onto fusion, hip hop, and jazz, but these categories are simply that. Abstract Scenario are all about creating abstractions of these various musical styles, and the inspiration for such musical adventure and foundation was learned early on for Erica Telisnor, who attended Berklee City Music’s Preparatory Academy and High School Academy. She also credits a fellow City Music alum for pushing her to practice because in the music industry, women still need to work harder to stand out. Erica feels “blessed” by all of the opportunities that she says has been given “so freely” by Berklee City Music. It has obviously made an impact on her future goals. This summer, Abstract Scenario, plan to raise funds for organizations that specifically target poverty in Boston. She’s already begun her first project and hopes to plan larger events to tackle homelessness and poverty. 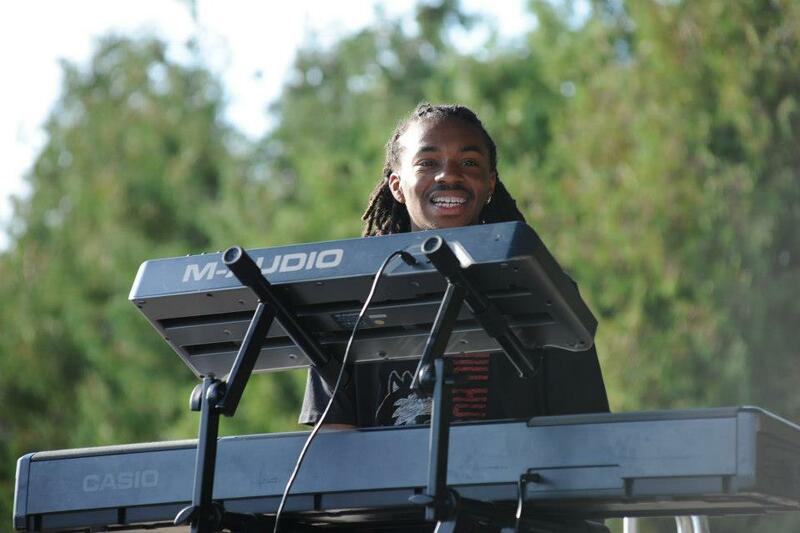 A former City Music Student and scholarship recipient for the Berklee 5-Week Summer Performance Program, Randiss Hopkins keeps busy and continues his success on his musical journey. Randiss attended the City Music Program through our member Chicago West Community Music Center under the tutelage of Howard Sandifer who “has played a very significant role in my life, and I am honored to have him as a mentor,” Randiss told us. Randiss is in his third year of a dual major in both music education and jazz performance, where he studies under jazz pianist Willie Pickens. His program take five years is expected to graduate in 2015. “Since 5-Week, I’ve been truly blessed with many opportunities.” In 2010, during his senior year of high school, he was selected to be a part of the Chicago Public School All-City Jazz Band. “This gave me the opportunity to play at venues such as Navy Pier in Chicago, and even the American Jazz Room in Kansas City.” In 2011, he opened for gospel artist Fred Hammond, at the Convocation Center with the Northern Illinois Black Choir.